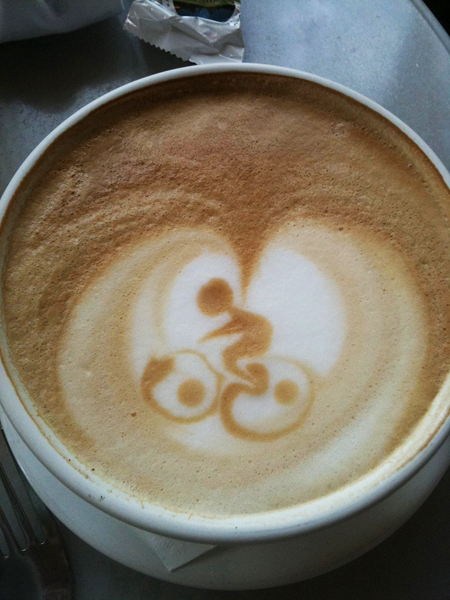 From JJ Heldmann: "Latte purchased midway through a weekend morning bike ride, at St. Honoré Boulangerie, Lake Oswego, Ore. The barista saw my helmet and gave me a latte appropriate for the occasion. It tasted as good as it looked!"